The Structure of Digital Computing takes a fifty year perspective on computing and discusses what is significant, what is novel, what endures, and why it is all so confusing. The book tries to balance two point of views: digital computing as viewed from a business perspective, where the focus is on marketing and selling, and digital computing from a research perspective, where the focus is on developing fundamentally new technology. 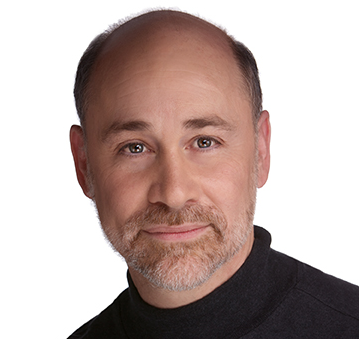 Robert L. Grossman is a faculty member at the University of Chicago and a Partner of Open Data Group. At the University of Chicago, he is the Director of Informatics at the Institute for Genomics and Systems Biology, a Senior Fellow at the Computation Institute, and a Professor in the Division of Biological Sciences. He founded Open Data Group in 2002, and since then it has been one of the leaders in building predictive models over big data. of computers and associated developments in data. for a discussion of the FFT algorithm for multiplication). He obliquely discusses the connection with some interesting mathematical points. basic principle of hardware design: the one unforgivable sin is to have too small an address space. This book should be read by everyone who is interested in the possible course of technology. 5,0 su 5 stelleAn understandable guide to Big Data and their impact on us. Big data in a small book, small in size but huge in information. Grossman has done what I considered impossible, provided me with an understandable, witty and engaging, pithy exposition of the history, current status and future of big data and the relevance of that future to science and business in particular and to all of us in general. The organization of the book is spot on, with a format that facilitates reading a little or a lot at any one time and encourages revisiting sections of special relevance to the reader, including the many practical examples. Grossman, a mathematician and much more, is Professor of Biological Sciences at the University of Chicago, Director of Informatics at the Institute for Genomics and Systems Biology and a Senior Fellow at the Computation Institute. He directs the Open Cloud Consortium, calling the Open Science Data Cloud a "datascope", comparing its impact to that of the microscope and telescope. Data mining is seen as a new source of knowledge, able to find significant patterns that are otherwise unrecognizable. You may well find yourself interested in joining the Consortium. As a practicing healthcare professional and a researcher in psychophysiology who is also considering an entrepreneurial venture, I found the book invaluable, leading me to consider new ways to make sense of overwhelming masses of data and new ways to chart a course into a very competitive business environment. My own belief is that the future of healthcare lies in making it individualized, understanding the biological individuality of each of us by finding patterns in the big data that describe our biological being. Big data, by the way, are BIG and growing: "The amount of data that big data facilities manage increases by a factor of approximately 1,000 a decade." A terabyte, which is a million kilobytes, no longer suffices in discussing big data. Nor does a petabyte, which is a thousand terabytes. Megawatts are the new measure, so that one might describe working "at a 15 MW data center that manages hundreds of petabytes of data." Grossman helps make sense of this all. This book takes us on a ride through the growth of digital computing from Mainframes and PCs to the Web to Devices to the 5th Era, the Commoditization of Data. Along the way, there are visits to many laws, including my long term favorite, Moore's Law, which basically predicted the geometric growth of processing power. 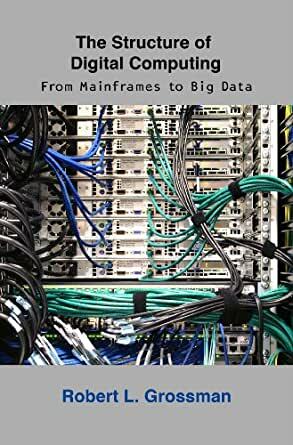 The book, however, is far more than the history and current and future Structure of Digital Computing, providing case histories from many disciplines that clarify the theory and technology and emphasize the impact of Big Data on all of us. If you are in business or research or neither, but wanting to know about the digital world we inhabit, how it is changing, and how those changes will in turn change our lives, this is a must-read book. You will also enjoy the philosophical and wryly humorous asides. I have ordered 5 more book to give to friends and colleagues, hoping they will do the same. From the title, it looks like "The Structure of Digital Computing: From Mainframes to Big Data" is a chronological/historical overview of computing, but the book's real purpose is to present us with a more useful "contextual" history of computing that identifies some of the underlying structures or patterns important in the history of digital computing. One of the examples he covers is Moore's Law and how similar laws apply to storage and networking. This book is about cutting through the clutter created by tech vendors, analysts, pundits, and consultants to recognize those underlying structures that keep reappearing in the history of computing technologies. Given the technical complexity of the subject matter, one might expect the content to be presented through an impenetrable jungle of technical language and buzz words. Rather, the author delivers content in a clear, conversational style, often seasoned with a bit of dry humor. Complex concepts are clarified with helpful examples and enlightening analogies. Even so, some of the material is technical and the book does take some effort to read. One of the author's main contentions is that the commoditization of transforming technologies is relatively predictable, so the real economic scarcity value belongs to those can leverage those technologies. In that regard, book should be a valuable resource in every business leader's library.